Why our Conan Exiles hosting is the best. 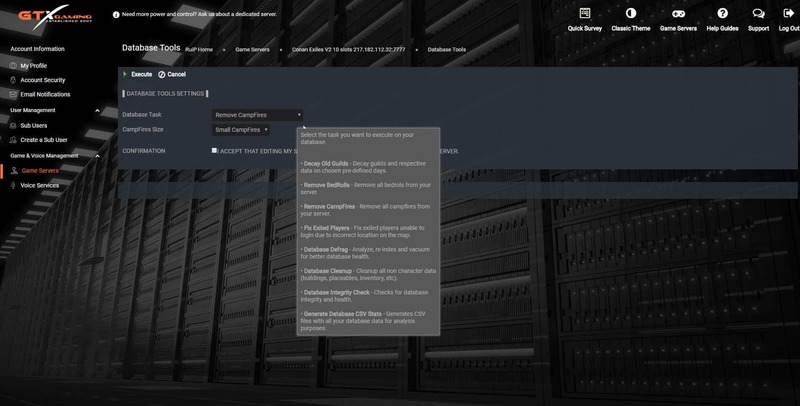 Setup all your server settings easily with our built-in configurators, easy value changes with our sliders and checkboxes. Access to your server files in raw mode and fine tweak all your advanced settings if you are an advanced user. Add or remove any players to your server blacklist to prevent them from joining your server, or just enable whitelist and build a VIP players list. Get our Unlock TickRate addon and switch your server tickrate between 15/30/45/60 values for an extra boost or performance tweaking. Our built-in cloning system creates a clone of your server files, every day and saves the last 7 days. We save all your server backups and clones on our off-site backups storage for extra security. 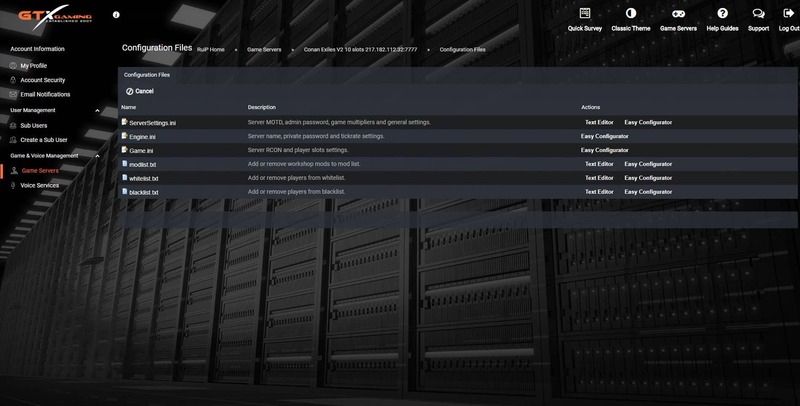 Expand your server features and functionalities with our mod manager installable tools. Edit, delete, download, upload and manage your server files easily and quickly with the built-in file manager. View, download and stream all your server logs in one place. Anytime the game updates, just press Steam Update button to update your server also. Update your server to latest beta branch and test the latest game developments, updates, and features. 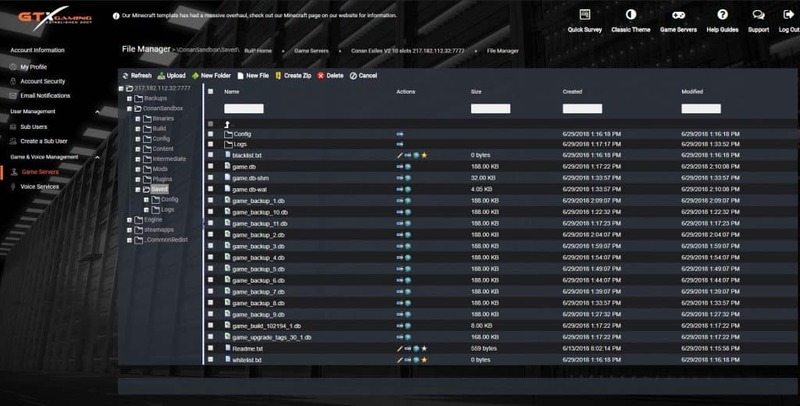 Live stream your server master log to easily identify everything going on your server. 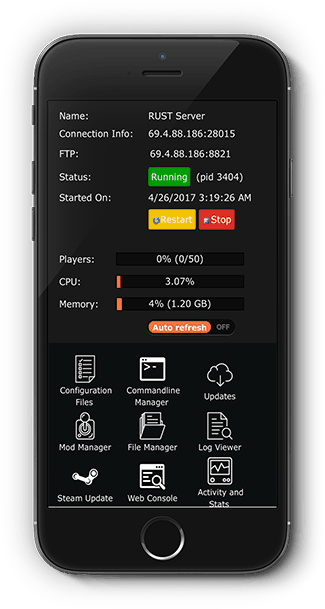 Access to your server live stats and past history graphs about your server players, CPU, and memory. 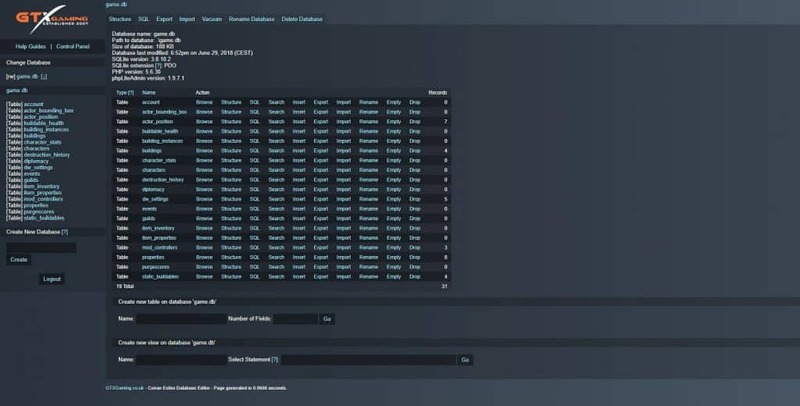 Easily submit and generate GameTracker banners with our built-in GameTracker tools. 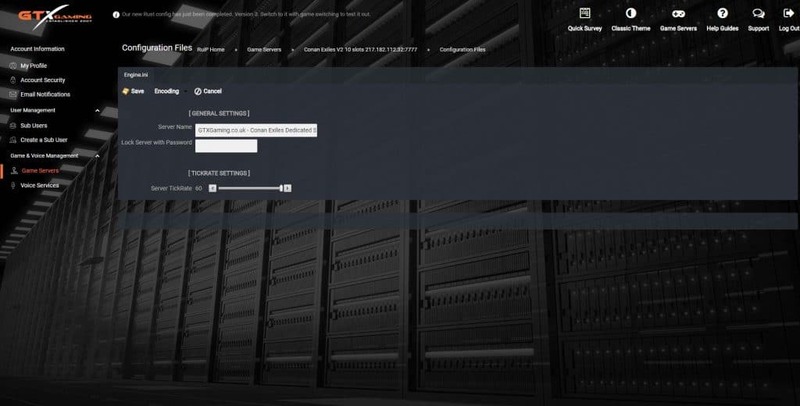 1 Click backup your server world progress and settings for easy recover if needed. 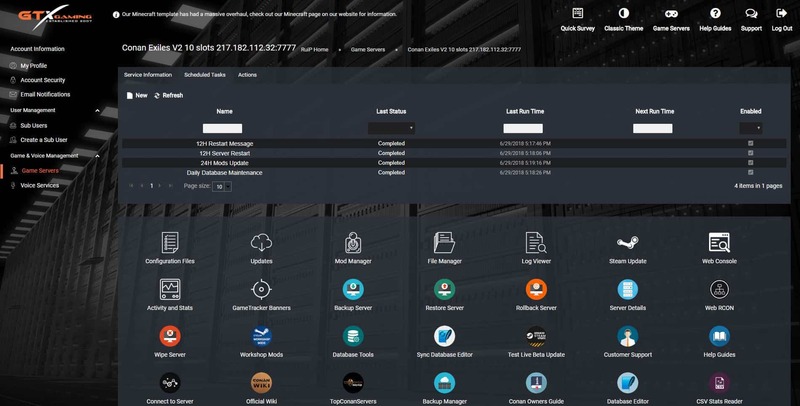 Restore your server world, settings or both anytime from a previous backup or automatic server clone. 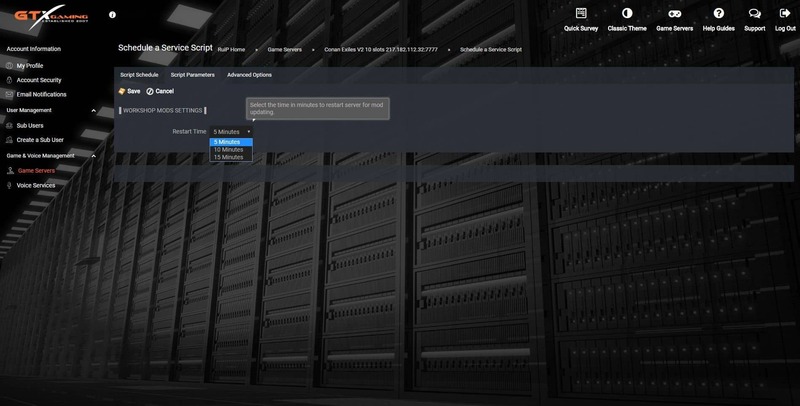 Rollback your server world to any previous snapshot to easily recover a missing base or player. Get access to all your server details from one button, no more missing logins or details. 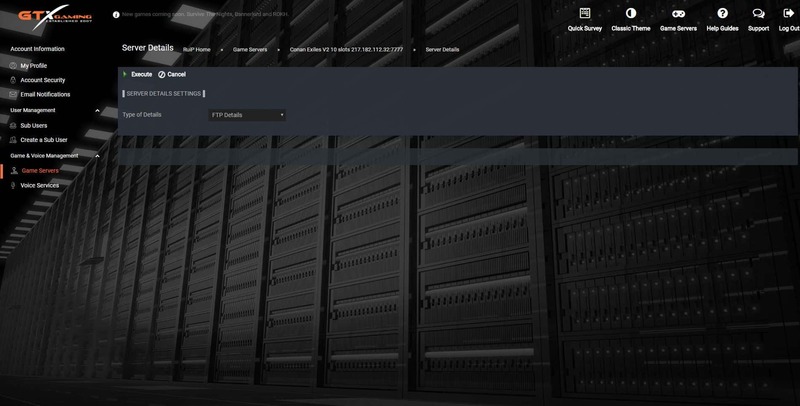 Control your server RCON and submit RCON commands directly to your server with our built-in Web RCON tool. 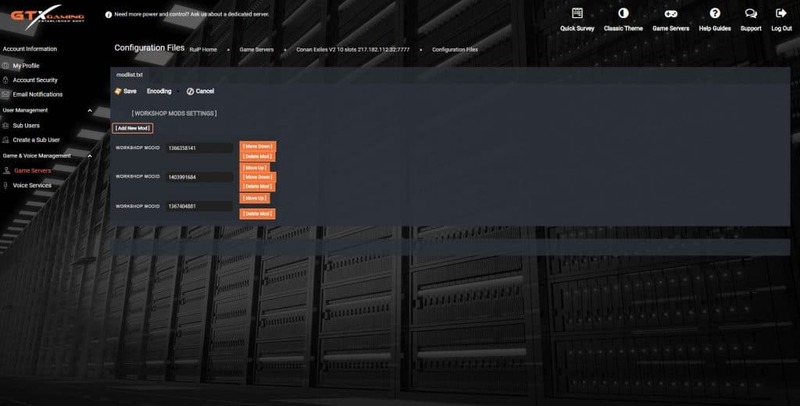 Manage all your server backups and clones from our in-house web backup manager, delete them or download them to your computer easily. 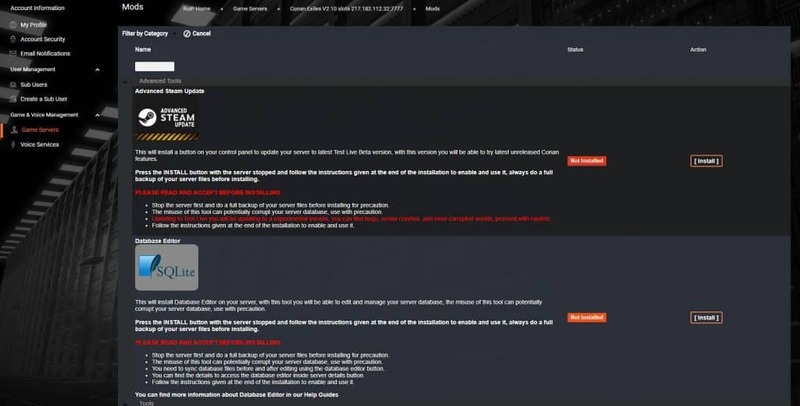 List and order all your workshop mods the way you want with our workshop mods configurator. 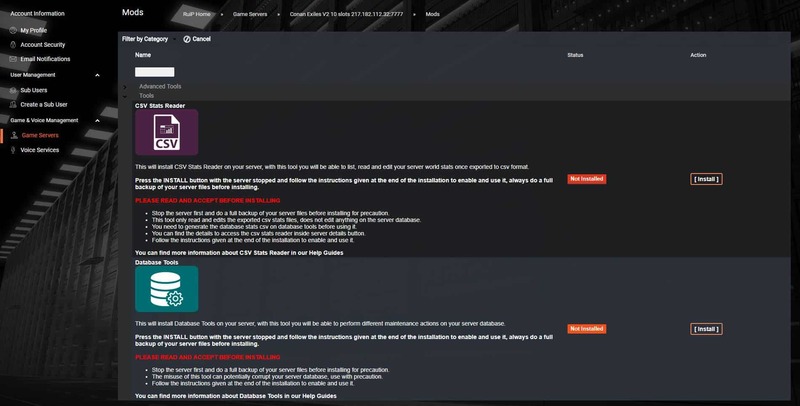 Download or Update all your server workshop mods easily with 1 click with our exclusive Workshop Mods tools. Wipe your server world, settings or both anytime, to start fresh or just to recover from a previous backup. Perform multiple database tasks or maintenance with our built-in database tools, easily manage your database with a few clicks. Edit and modify your server world database with our web database editor, delete any player or simply modify any database value easily. 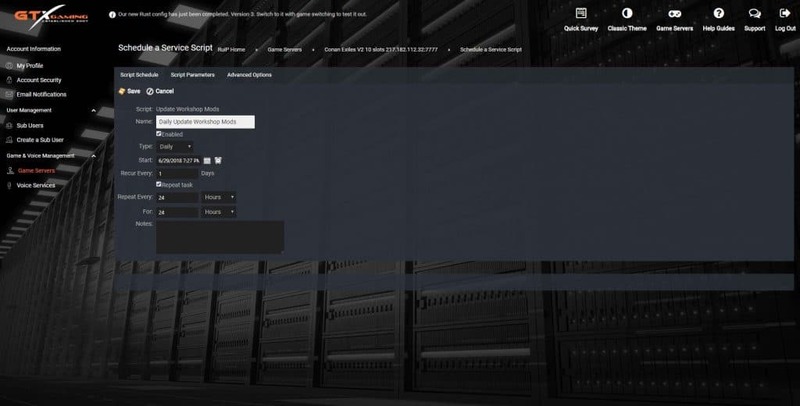 Access to your server database overall stats in CSV format with our web csv reader, or just download them to your computer. Contact our support team, connect to your server, check out our step by step guides, or simply follow directly to official forums and wiki. 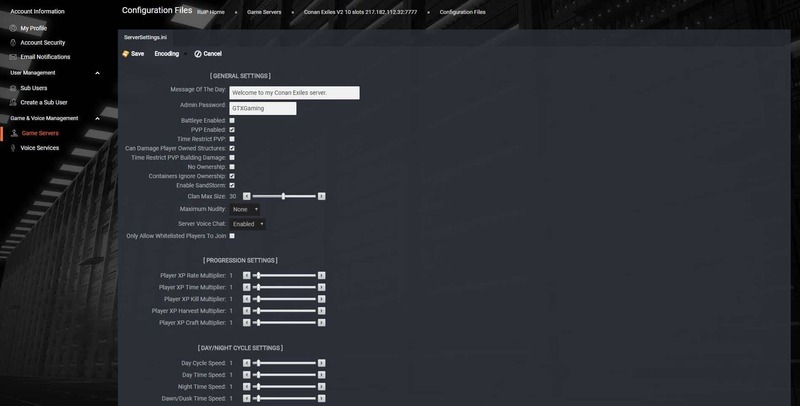 Schedule a restart task to restart your server on the predefined time you desire and more convenient to your players. 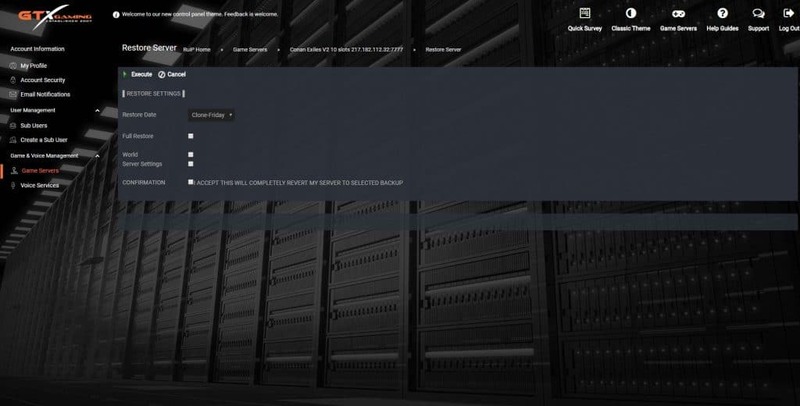 Setup a schedule steam update task and keep your server game files updated without having to be online. 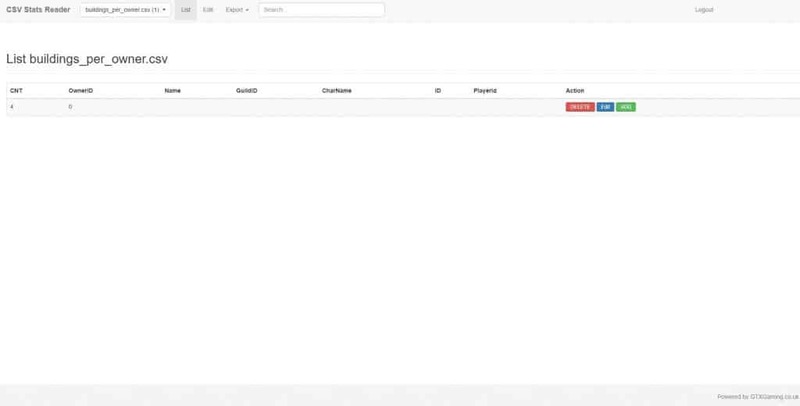 Create multiple scheduled broadcast messages to warn your players about server updates, or simply to give them useful information. Setup a scheduled task to send a defined custom rcon command to your server at any time of the day predefined by you. Set a restart message task few minutes before a scheduled restart task to warn your players before a server restart. Send an sql query to your server to be executed on your server database at a predefined time of the day by you. Our tool will check if it's there any update available if an update is available, will warn your users, stop your server, update the mods and start your server back. 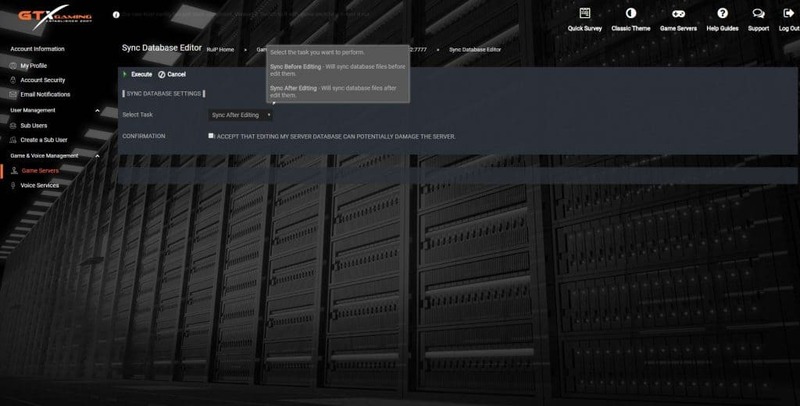 Besides our automatic server cloning system, you can set up extra server backups any time of the day. 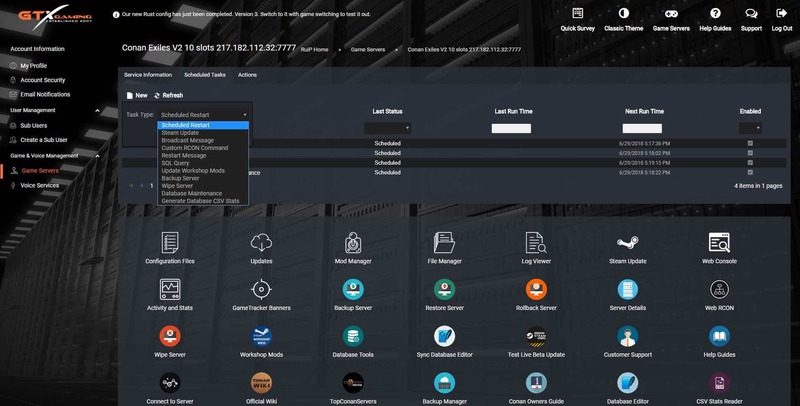 You can set up a task to wipe your server and start fresh world at any predefined time without you needing to be online. Manage and execute important database maintenance tasks on your database daily or weekly before a restart even when you are not online. If you like stats and keep your database stats under control, setup a task to generate the csv stats files and read them on or web csv reader. If you want to start everything fresh, easily reinstall your server and start fresh like if it was the first day you got it. Welcome to the worlds premier Conan Exiles hosting company. Ever since Conan Exiles early access was launched in January 2017 GTX have been huge fans of the game. 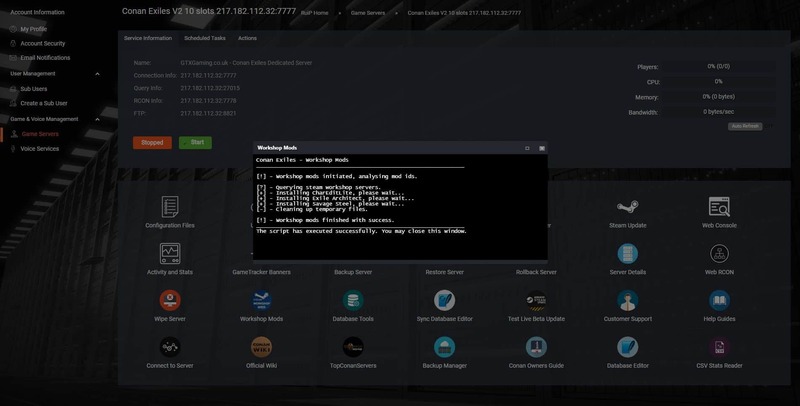 Getting a beta key even before release to hone our control panel to make it as easy as possible for our customers to host your own server. Still not sure? talk to our live chat operators and ask anything you are not sure about. We will also be fully supporting. Will my Conan Exile server be online 24 hours a day? Yes, your Conan Exile server is always online. 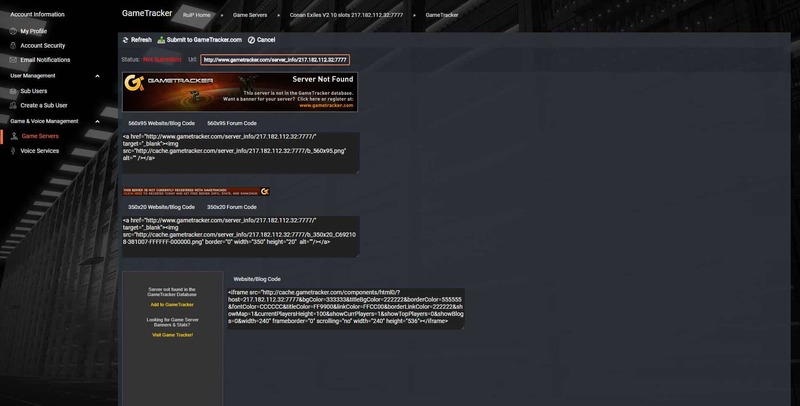 That is the main reason to pay for game server hosting. All power and network traffic are covered in your subscription so that your server can be online all of the time. Even when your PC is turned off, your clan or community friends can join your server and play in your absence 24 hours a day, 365 days per year. How are Conan Exile updates handled? If a Conan Exile server update is released all you need to do is click the Steam Update button on our control panel. The server will begin to check your files and update as necessary. Once you are logged in your server may still be 'Installing'. This simply means that your server is updating to the latest Conan Exile version via a Steam update. After a minute or two, click refresh on your browser and your server will be shown as 'Running' and will be ready for you to configure with your own server title and admin password. Why do i even need Conan Exile hosting? Well, there are three ways you can host your own Conan Exile server. 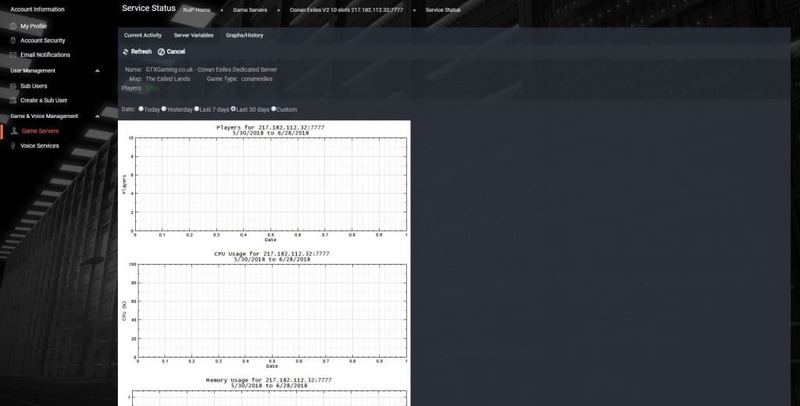 You could rent a dedicated server and host a Conan Exile server on it. This option has some great benefits and we do offer dedicated servers should you go for this option. 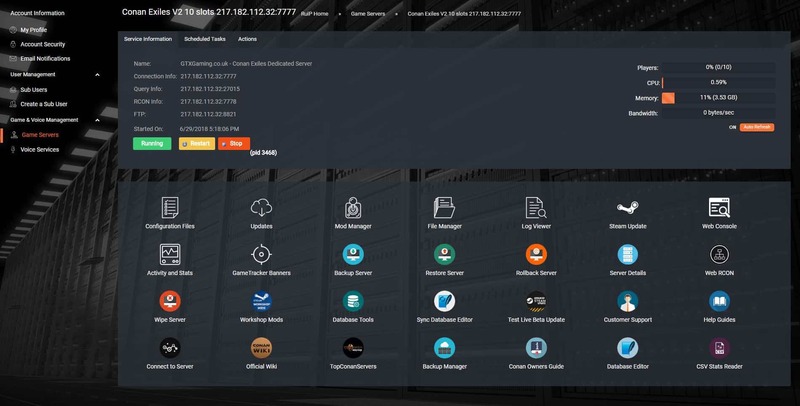 With a dedicated server, you will get all of the resources focused on one or several servers so you can guarantee the best possible performance. You get root access to the machine so you can easily update the server and run it with a Windows batch file. However, on the downside, there is the initial setup of the Conan Exile server which can take some time and expertise to get right, as well as updating it when an update comes out. You would also need to install MySQL and configure it. We do offer a TCAdmin2 licence addon which gives you access to our control panel to create servers for only £20 extra per month which will make things a lot easier but with this option enabled you will not get root access (to protect our scripts). The best solution is to rent a server from GTXGaming. Server rental will give you the best value for money. 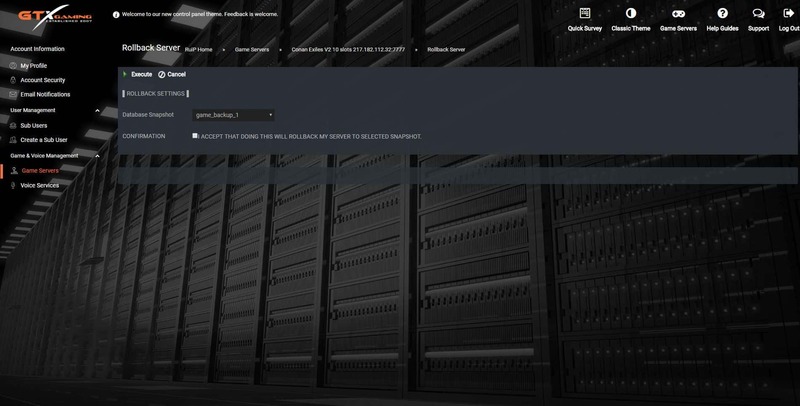 You get the control panel for free, and we host the server 24 hours a day, seven days a week. Rest assured that we do not over populate our machines and your server will run as smoothly as if you had a rented dedicated server. 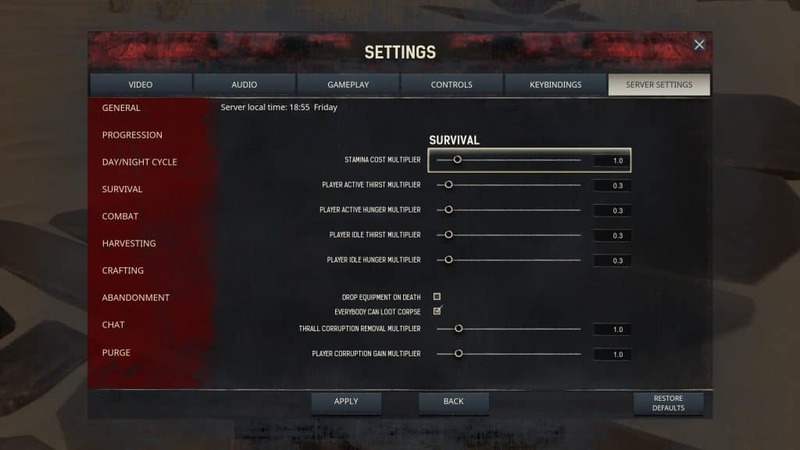 There are also added options of high CPU priority too so if your server is bustling with 100+ players you can add this to get things even smoother and with our 24-hour support you can be confident that you can get your Conan Exile server up and running in no time. 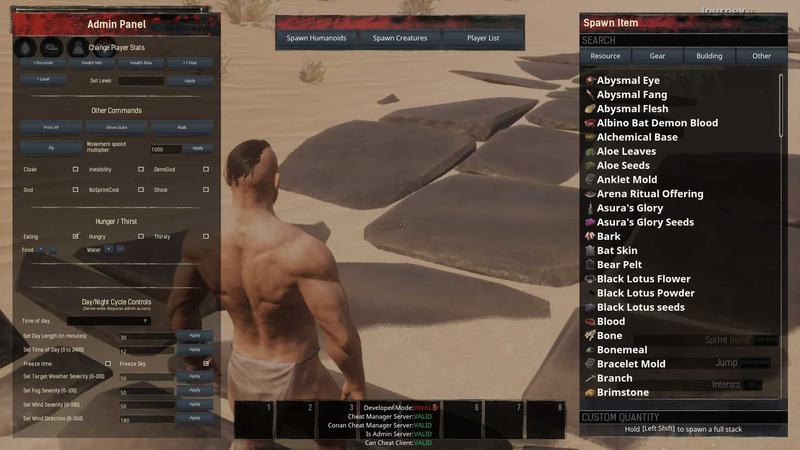 With GTXGaming Conan Exiles servers you get free admin tools to spawn loot, monsters or teleport around. On our servers you are god. Get bored with Conan Exile? You can Game Switch to any other game we host with our easy switching tool. Switch back anytime you want. 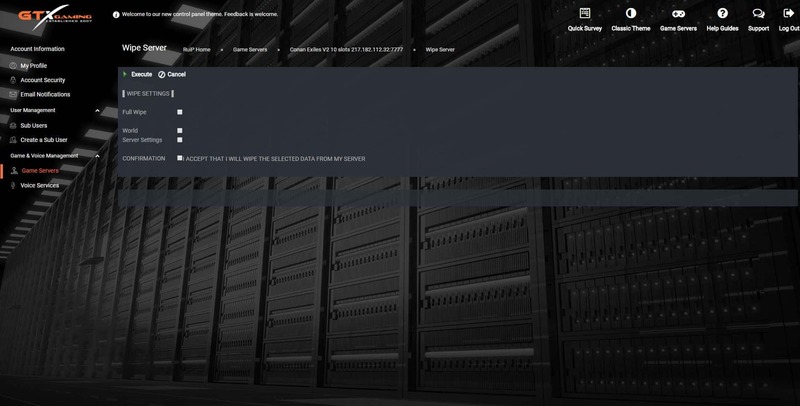 We zip up your Conan Exile server on every reboot and upload it to our offsite backup NAS. You will never lose data at GTX. We hold data from every reboot for 60 days. Our automation means your Conan Exile server will be up instantly no matter what time of day it is. As soon as you order go to the client area, services and get your username and password. 24 Hour no quibble refund. If you order a Conan Exile server from us and are not entirely happy we will simply refund you. Are you ready to build, survive and dominate? Ready to defend your land with an army of slaves and build your legacy in a vast seamless world? GTXGaming's online game hosting platform with ten years of experience is hosting Conan Exiles game servers. Experience cutting-edge hosting, dynamic settings with drop-down menus and click to enable radio buttons plus full control of gaming rules when you explore the thrilling Conan Exiles on our servers. Play Conan Exiles on the most feature-rich server you can find anywhere online and bask in a world of adventurous top notch online gaming experience. Conan Exiles is set up in the brutal lands of Conan the Barbarian where you must fight for survival, build and most especially dominate the world alone on your own Conan Exiles server provided by GTX offering the best easy to use control panels to enable a better gaming experience. Looking for something even more thrilling? Then try the online multiplayer and battle your enemies as well as make allies. In the land where the weak are crushed and only the strong survive, you are sentenced to survive or perish on these damned lands with nothing but your bare hands yet you must forge the legacy of your clan as you harvest resources to craft tools and weapons. In the world of Conan the Barbarian, survival goes beyond being well fed and hydrated, you must dominate, conquer, overtake and build everything from a small settlement to entire cities. Enslave the bandits of these cursed lands and force them to serve beneath your feet and do your bidding by breaking their will on the Wheel of Pain. True power and glory come when you sacrifice the beating hearts of your enemies on blood soiled altars of your god. But be warned, going in unprepared means it will be your head rolling. Discover the knowledge and secret of ancient civilizations as you explore mysterious ruins and fight against dark forces of the brutal world seeking to corrupt your mind. With Conan Exiles, gamers can unleash their inner savage as Conan the Barbarian, summon the colossal avatar of your god and watch as they lay waste to all that stand against you and destroy their homes. From the darkest holes of the earth, vicious monsters will come at you and you must prove your mettle in a fight.